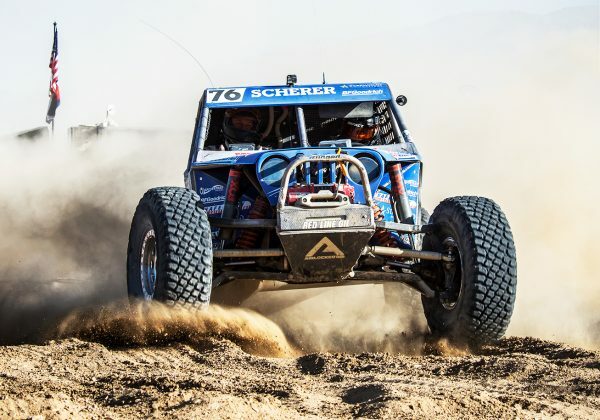 The concept of the King of the Hammers race is really diabolical: combine a desert race with a rock-crawling race and do it for approximately 7 hours covering 200 miles, alternating between boulder minefields and 100mph-plus open desert running. There is an imposed time limit for competitors to finish the required distance in 14 hours and this year just 29 ULTRA4 vehicles finished out of 102 entries in the time allotted – 60% DNF – that’s just how tough KOH is. 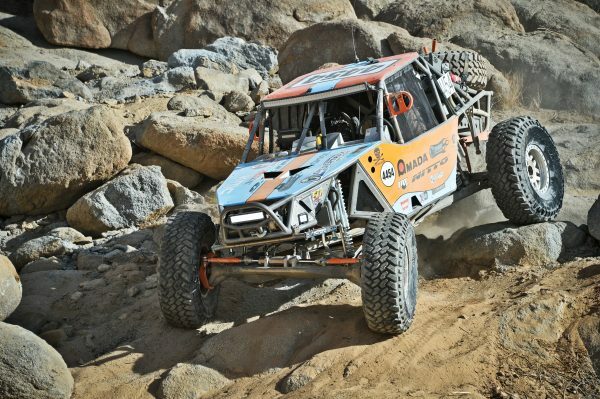 They have held the KOH race in Johnson Valley, California every year since its inception in 2007. 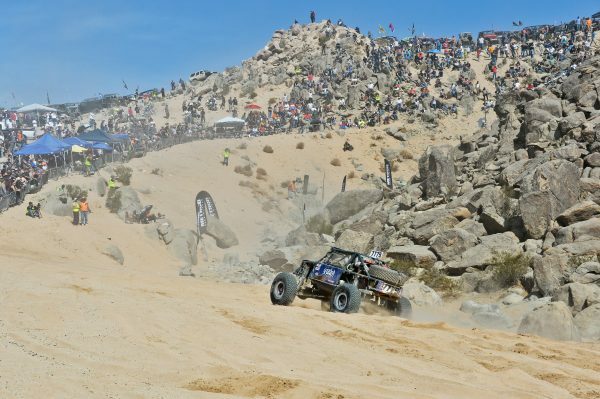 It is a week long affair that races virtually everything from motorcycles and UTVs to the increasingly popular “The Every Man Challenge” vehicles, but the true “Kings” are the ULTRA4 vehicles that have few rules, but amazing engineering. The 2018 Nitto King of the Hammers King is two-time winner Jason Scherer who ran a neck and neck race with former King, Randy Slawson. They traded the lead several times over the 7-hour battle, but Scherer was handed the win when Slawson’s rig died near the finish line. Two-time winner Erik Miller grabbed second place trailing Scherer by 12 minutes and Wayland Campbell, a 21-year-old and the only driver to compete solo got his second podium this year with a third place finish. 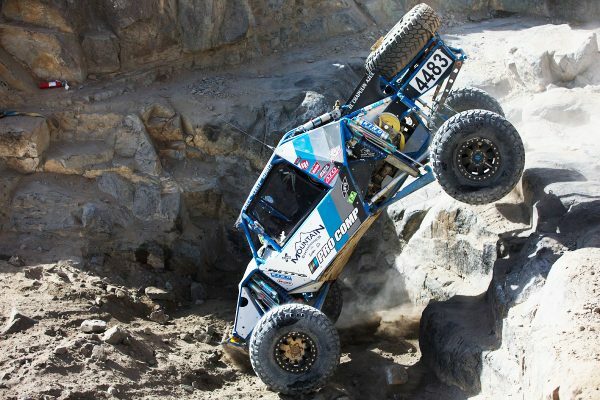 Driver experience is essential to do well in the KOH competition because the race dictates several different rock climbs must be negotiated. With trail names like Jackhammer, Chocolate Thunder and Outer Limits Scherer and his co-driver Jason Berger had to pick perfect lines through the obstacles to maintain speed and prevent catastrophic damage. That’s what’s so amazing about Wayland Campbell’s solo performance. The KOH ULTRA4s are pretty amazing too. They need big power for the open desert sections – upwards of 600hp that also have enough low-end grunt to climb those 40-inch-plus diameter tires over near vertical boulder faces. The goal is to build a vehicle that doesn’t sacrifice speed and handling for climbing ability and conversely, climbing ability for speed – not an easy thing to do. If you ever get a chance to take in the KOH competition in early February, you should do it. It is one of the view off-road events that is spectator friendly. You can cruise around to watch different sections of the course or just pick out a hillside that has a spectacular view of the course and camp out.